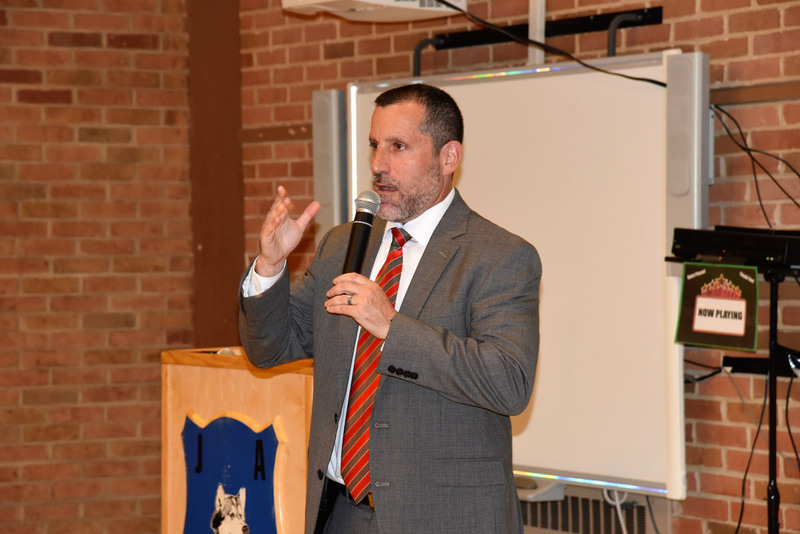 Superintendent James W. Polansky spoke about the meaning of tenure and what the designation specifically denotes in Huntington and then went on to give examples of how each of the faculty members is making a difference with the district’s students. 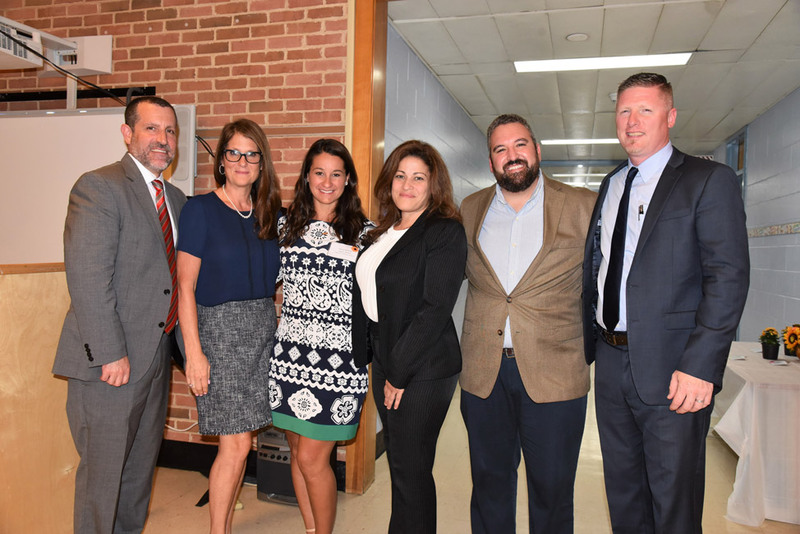 The crowd included family members, building principals, department directors and chairs, central office administrators, Huntington School Board members and colleagues of the newly tenured individuals. The recently tenured faculty members who were honored at the reception include Brenden Cusack (Huntington High School principal), Judy Goris-Moroff (director of ENL, dual language and world languages), Matthew Gelfer (music teacher), Jenna Milewski (speech teacher) and Cynthia Vitulli (teaching assistant). 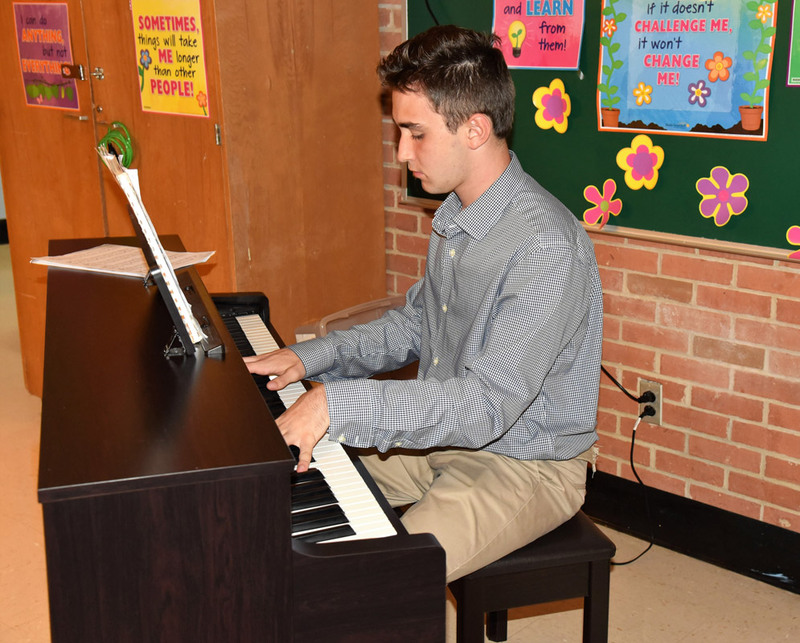 Huntington junior Michael Reed entertained the crowd on piano, creating a festive atmosphere for the occasion. The teenager was magnificent, impressing everyone with his ability and demeanor. New York State Education Law provides for teachers and administrators to serve a multi-year probationary period before being eligible to receive a tenure appointment. During this time they are subjected to intensive observation and evaluation and can be dismissed for virtually any reason.